Time for a history lesson. Back in the fall of 1977, Bob Marley and Neville Garrick, the graphic designer who worked on Bob Marley & The Wailer's album covers, were in Miami working on the Kaya album. Garrick says that during the session, he was tasked with being the "keeper of the songbook." One day, Garrick forgot to bring the songbook to the studio. That day just so happened to be the day that Marley wanted to work on the song Time Will Tell. Regardless of the missing book, the recording session went ahead. 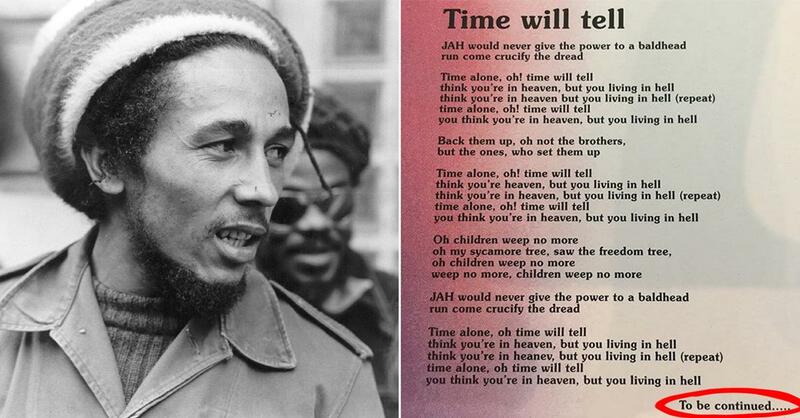 But without the full pre-written lyrics, Time Will Tell ended up being far shorter than any of Marley's other classics. 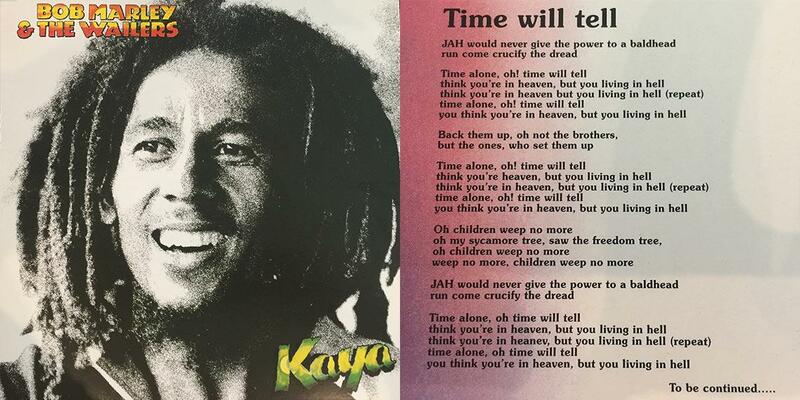 This is even more evident on the official lyrics sheet released with the Kaya album in 1978, where the lyrics end with "to be continued..."
You can watch Garrick's full vlog below, he explains the Time Will Tell story at around the 30 minute mark.